Evaluate the strength of Hong Kong growth equities in minutes. 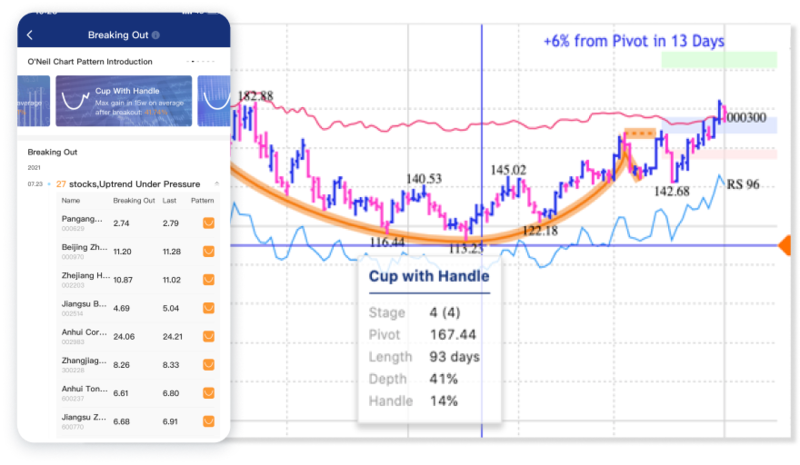 MarketSmith Hong Kong, an investing app for iPad®, iPhone®, and Android™ smartphones, is built on a method with a 50-year history of portfolio outperformance. 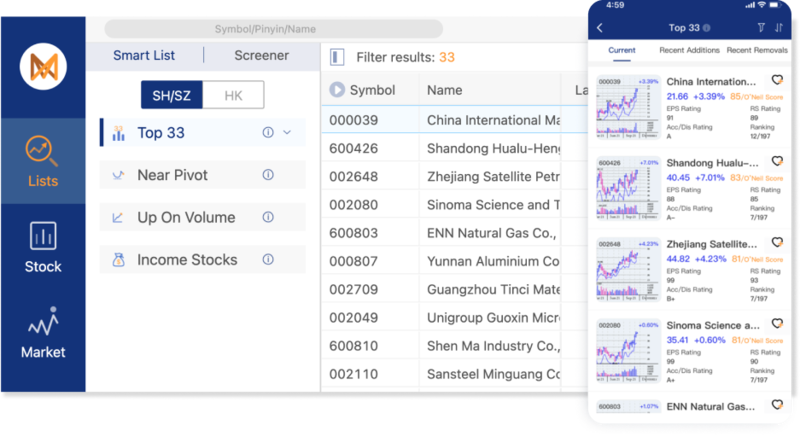 Its robust design delivers quantitative and qualitative information to guide you in finding strong equities, evaluating them, and timing buys and sells on the Hong Kong exchange. Data essential to picking equities is summarized for quick review, with clear ratings and rankings that clarify strengths and weaknesses. Equity ideas derived from screens created by our investment team are also available. Our weekly commentary recaps market conditions and highlights equities with strong potential. Our goal is to help you buy and sell the best stocks at the right time to more consistently lock in profits. Have to give a thumbs-up. This app has helped me double my gain in 2013 and prevent losses in 2014. I’m an O’Neil fan, this app is awesome. Awesome stock-picking tool, great market outlook updates. I doubled my gain last year, no losses so far this year. Very convenient to access HK market data, highly recommend. © 2017 MarketSmith Incorporated. All Rights Reserved. MarketSmith® is a registered trademark of MarketSmith Incorporated. All data provided by William O'Neil + Co Incorporated unless otherwise noted. MarketSmith Incorporated is the parent company of MarketSmith Hong Kong with headquarters at 12655 Beatrice Street, Los Angeles, CA 90066. (310) 448-6509.